Are you looking to take your yoga practice to the next level? 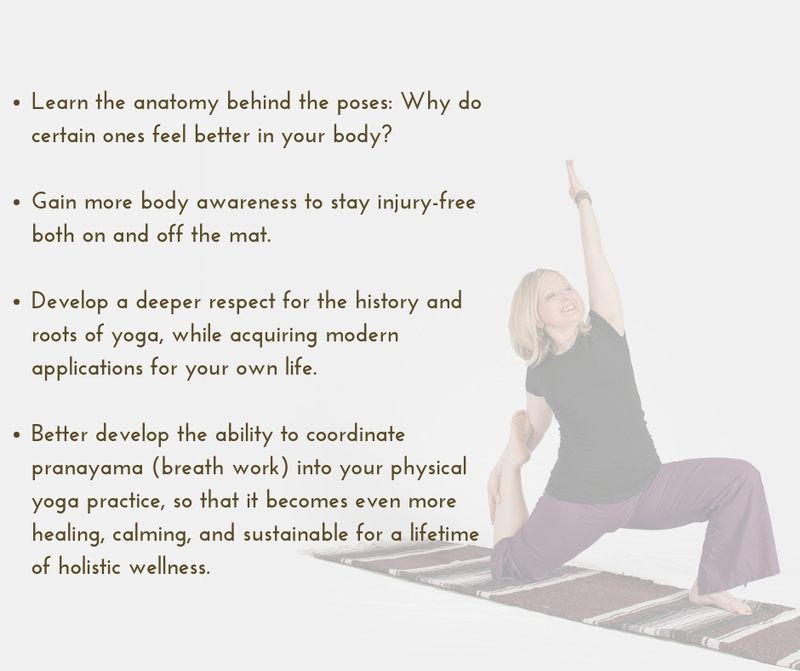 Do you want to deepen your practice on the physical, intellectual and emotional level? You have a regular yoga practice, and so you’ve already invested in one of the best ways to maintain physical and mental health, connect your mind and body, and find both inner and outer peace in your life. But…..what’s next? How do you keep improving once you’ve learned the poses? What are the deeper perspectives, both physical and philosophical, behind yoga? You don’t want to teach yoga, but how can you maximize your personal practice? The Weekend Format is offered annually, January through June. This format gives students an opportunity to deepen their knowledge at a more relaxed pace. Ready to go on a journey of self-discovery and transform your yoga practice?! Submit the below application and click “Pay Application Fee” to pay the non-refundable $25 application fee. Email info@theyogaloftofbethlehem.com with any questions! Please note: This program does NOT qualify or certify students to teach yoga. Tuition is non-refundable.